A Victorian period bookcase from the 1860's was hand carved of solid walnut. The restored finish is in excellent condition, preserving just enough mars and wear for a little antique character, see photos. Doors have a working lock and original wavy glass, shelves adjust on wooden supports. The key also works in the drawers, which have hand cut dovetail joints. 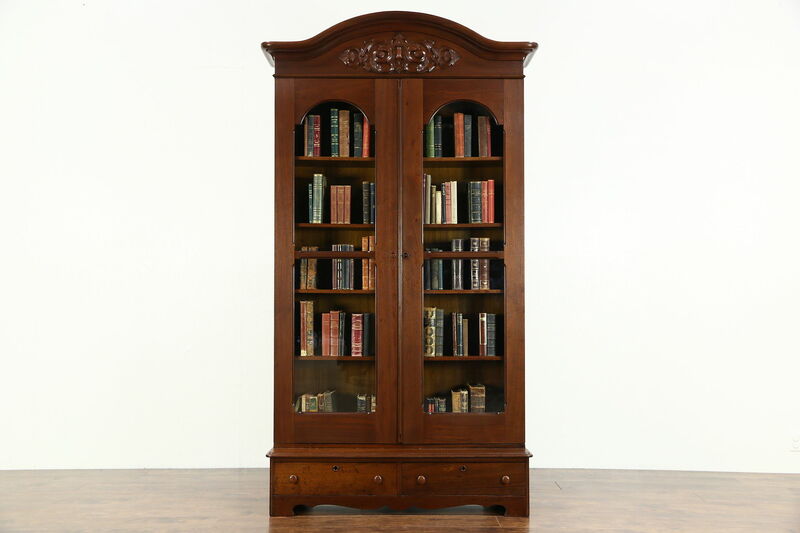 American made historic library furniture, this bookcase does not disassemble. Size is 54" wide at the gracefully arched crown, 18" deep and 7' 11" tall.